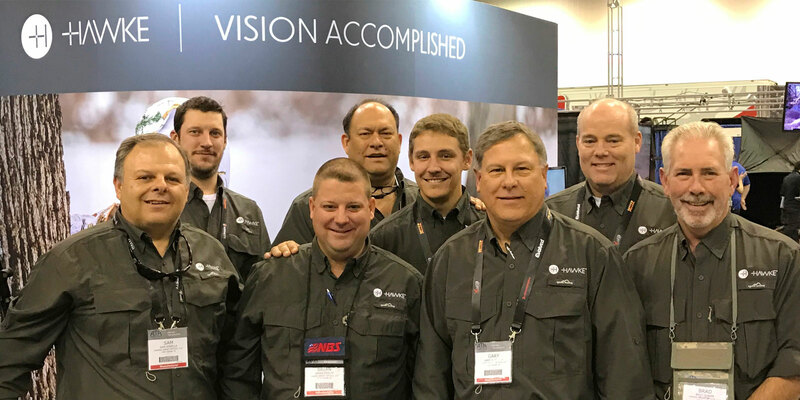 With the continued brand success of Hawke Optics as one of the fastest growing optics companies in the U.S. market, Hawke has strengthened its operation and commitment to continue to grow the brand profile with the appointment of eight new team members across the US market. The new team members are joining Hawke with a combined 130+ years extensive experience in the outdoors industry from all over the US, bringing with them drive and passion to grow Hawke Sport Optics. In-line with this Hawke is implementing its largest marketing campaign ever, including highly-rated TV sponsorships on all the major outdoor and streaming channels, expansive national and regional print advertising, social and digital marketing, and promotions seeking to increase Hawke’s presence and helping to communicate the brand with current as well as prospective customers. The new campaign supports Hawke’s evolution as a leading Sport Optics manufacturer at the forefront of optical performance, with class-leading innovation and design. I am thrilled to be involved with this market leading optics manufacturer at such an exciting time in the expansion and strategic development. I look forward to working with our USA sellers and continuing to grow awareness of the quality and value of the Hawke products.